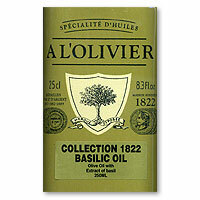 A L'Olovier's Collection 1822 French Oils in elegant old fashioned 250 (8.3oz.) 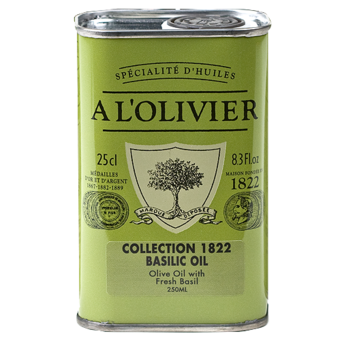 tins. Each is flavor packed. Ideal size and package delivers selection, convenience and mobility for today's consumer. 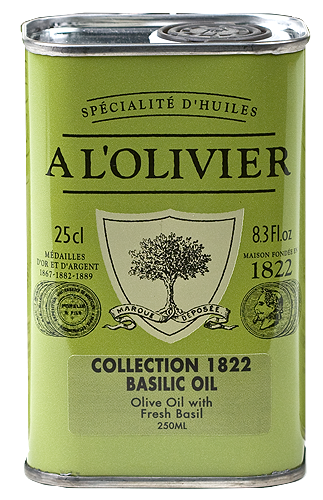 Is excellent in salads with cheese, in pasta, or fish.